Ronnie Bryant, Director of the Charlotte Regional Partnership said it well: “We are an evolving southern city.” For over 200 years, Charlotte has been a quintessential city of the south. Immigrant residents were rare. Consider that in 1980, only 2% of the total population was foreign-born. But in the last 30 years, Charlotte has become an immigrant destination. 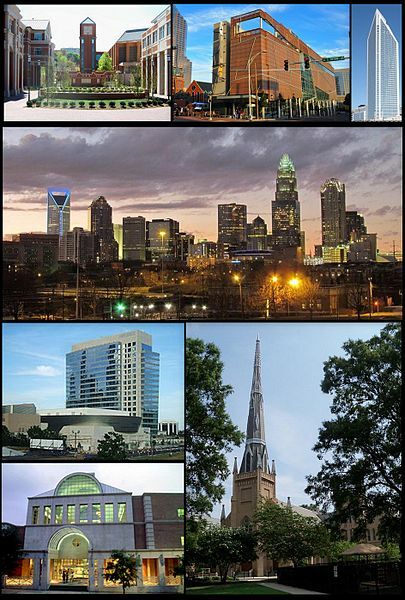 Currently, about 11% of Charlotte’s total population is foreign-born. The result is that the Queen City is now a globalized “gateway” city, one with an array of cultures and ethnicities, as well as hundreds of international companies. I recently had the privilege of participating in a community round-table and luncheon sponsored by the Americas Society and Council of the Americas. This type of community dialogue is also being replicated in other places around the country that are, like Charlotte, new immigrant gateway cities. The purpose is to bring together local and national partners in order to identify steps to best facilitate the integration of immigrants into our community, particularly as immigrants become key players in the economic vitality of our country. The roundtable discussion was a small but high-powered gathering that included business leaders, public officials, and community leaders from Charlotte, as well as leaders from other project cities across the nation, including the Mayor of Nashville, Tennessee. We also heard remarks from Ari Matusiak, Special Assistant to the President and Director of Private Sector Engagement at the White House. As the prospect of immigration reform becomes more real, this kind of dialogue becomes increasingly important. It is critical to hear voices across sectors and cities as we think together about how to enhance the ways that immigrants can contribute to the economy, as well as the quality of life for all U.S. citizens. How will the business sector benefit from economic opportunities that arise from new immigration laws that enable workers to fill critical job needs? How should cities prepare? Fatima Shama with the Mayor’s Office of Immigrant Affairs in New York City stated the case very succinctly: “Immigration reform is a federal issue, but immigrants are a local issue.” It is absolutely critical that local cities and municipalities be pro-active in helping their newest citizens become successful, contributing members of their new communities. I came away from the meeting glad to see that many of Charlotte’s leaders are eager to affirm the positive contributions that immigrants are already making to our community and economy. These benefits will be multiplied should key measures of comprehensive immigration legislation be passed. I also left the meeting even more convinced of the key role that International House plays in Charlotte’s new global landscape. For years, we have worked to foster understanding and build bridges between Charlotte’s native-born residents and the city’s newest international arrivals. This includes educational programs and legal services that help immigrants successfully integrate into our city and country. We also create global connections through our citizen diplomacy and international visitor programs, providing a lens for viewing our own community in the context of the wider world. This is good work, and it will be even more important in the days to come as Charlotte embraces her new identity as a truly global city.